Centipedes are poisonous nocturnal insects typically 1/8" to 6" long. They are yellowish to dark brown, often carrying dark markings and they prefer moist environments. 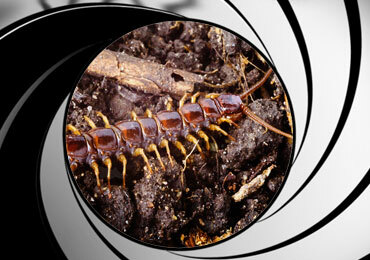 Typically, centipedes can be found in the coastal areas of San Diego county. If you or your pets are allergic to bee stings, centipede stings will cause the same reaction. We specialize in centipede pest control and have extensive experience eliminating centipedes in historical structures as well as commercial properties and apartment complexes. At License-To-Kill, we understand pesticide sensitivity. If you’re allergic to pesticides, concerned about your pregnancy or are concerned with your pets or children, we care and are prepared to work with you. Please call us for pest control needs today. Get Rid Of Your Centipedes Today!